Updating your home's color palette is one of the easiest ways to give your residence a fresh look without a whole-room design overhaul. Color authority Pantone has identified six colors they've identified as spring color trends. Cayenne is a spicy melon shade, a mix of orange and pink, that will instantly awaken a room. 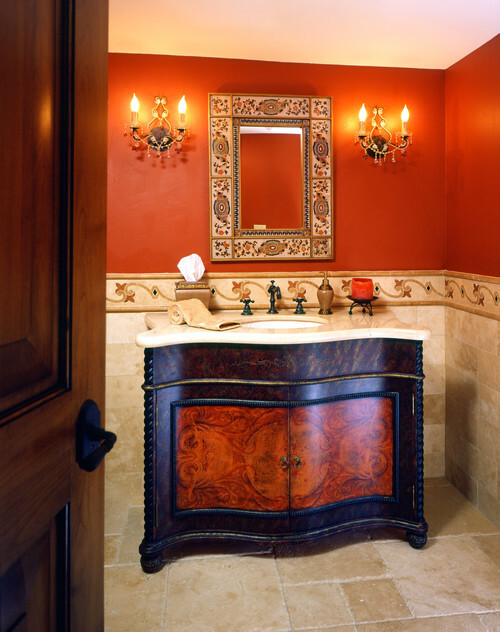 Paint the walls of a small guest bathroom or use it for pops of color in an otherwise neutral space. Sand is a warm neutral that's an excellent shade for the walls of a master bedroom, living room or other area designed for relaxation. Take it a step further and heighten the neutral with a texture for added richness. Radiant Orchid is a tart lavender hue reminiscent of rich Moroccan tapestries. This shade is perfect for your little princess, or invest in a throw or pillows for your bed or sofa in this vibrant color. Placid Blue is an innovative take on sky blue and an ideal wall color in the kitchen or a kid's room. The blue adds just enough color without overpowering the space. Paloma is a blue-inspired gray. Still in the neutral family, Paloma is a perfect shade for living room walls or bedroom furniture. It's important to strike the balance between neutral and artful in these rooms, and Paloma is a flexible color that works in neutral and subtle color palettes. Dazzling Blue is a bold hybrid of primary blue and the iconic navy. Ideal for a hallway wall adorned with artwork, it's also a great accent color for the entertainment center wall. Add a runner or area rug in the same shade for as an accent. For personalized tips on including spring color trends in your home's interior design, contact Stephanie Kratz Interiors.